LTE networks are becoming the mainstream available in many countries and areas. With LTE technology, users can enjoy high speed surfing, online games or watching videos etc..The good news is that this is not the end. The LTE technologies are also evolved to LTE advanced and it’s said the 5G network is under test now. Currently, many carriers are trying to upgrade the LTE Category 3 or 4 to the latest advanced Category 6 with carrier aggregation technology (in short: CA). With LTE-advanced technology, the LTE data rate could be improved to double faster than that of the current LTE cat4. Theoretically, the peak download speed could reach 300mbps and upload speed to 50Mbps. Here comes a question, which device could support the LTE Cat6 advanced networks and achieve this speed? Today, we would recommend a few similar mobile WiFi hotspot supporting LTE advanced carrier aggregation technology from vendors. Huawei E5786 should be the first LTE Cat6 mobile WiFi available in the market with Huawei own Hisilicon chipset. It has three branch models: E5786s-32a, E5786s-62a, E5786s-63a. 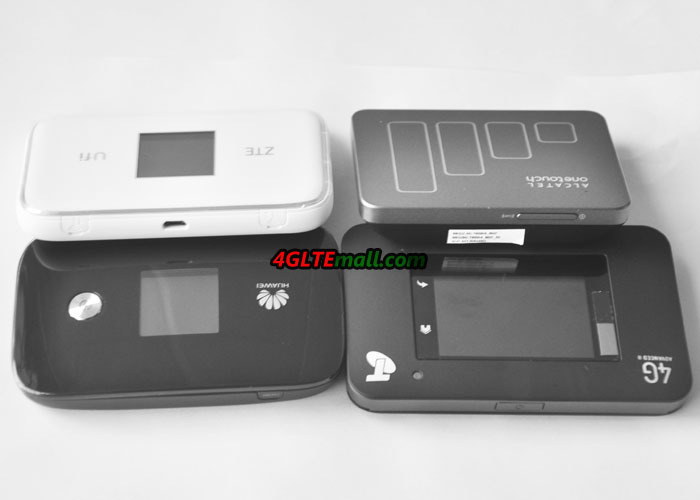 The Huawei E5786s-63a and E5786s-62a are for the network providers in Australia and they had new name “Telstra Wi-Fi 4G Advanced Pro X” and “Optu 4G WiFi modem” respectively. There are white and black colors available. But you can get the unlocked version from www.4gltemall.com for global use. Like its predecessors Huawei E5573 and E5577, the branch models could support different LTE frequency bands for different carriers and areas. Up to 10 wireless users could connect to Huawei E5786 and surf at high speed. There is a LCD screen in the front with power button. 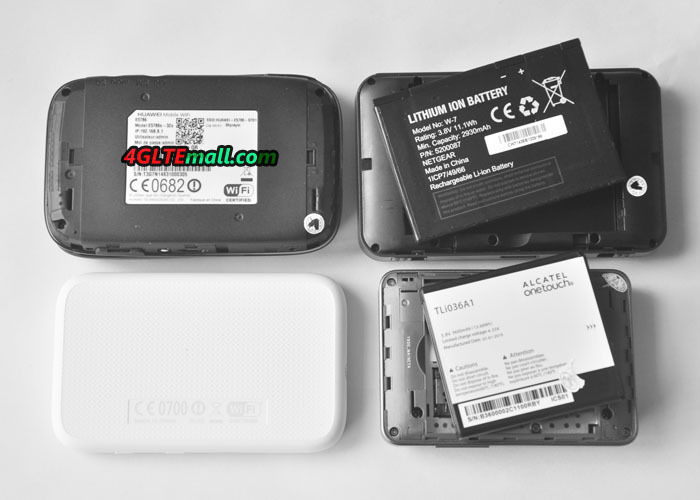 The back cover could be removed, but the 3000mAh battery is built-in. The SIM card and Micro SD card slots could be seen when back cover removed. There are two TS-9 connectors for external 4G LTE/3G antenna. As the world’s first LTE Cat6 mobile 4G router, Huawei E5786 is the best seller in similar gadgets. If you like this mobile hotspot, you’d better to check the network frequency bands and choose the right in the branch models. 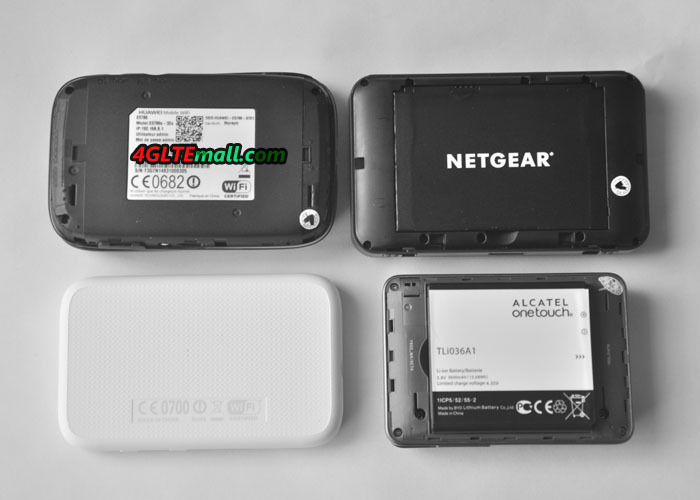 Netgear Aircard 790s is the second LTE cat6 mobile router available in the market. Based the predecessor Netgear Aircard 782s, it looks similar to the 782s aircard. Unlike the Huawei E5786, the screen of Aircard 790s is capacitive screen, where user can operate and do simple settings for the mobile hotspot. The power button is on the top side, the bottom side has two connectors for external antenna (TS-9 type). The USB port is also special with 3.0 port, but with the device, Netgear provides the USB 2.0 cable. The back cover could also be removed, so as the battery. The battery capacity is 2930mAh. The SIM card slot could be seen after battery is pulled out. No slot for Micro SD card. With Qualcomm MDM9230 chipset, Aircard 790s could support up to 15 wireless WiFi-enabled devices. With the touchscreen, Netgear Aircard 790s is attractive for many users in practical functions. 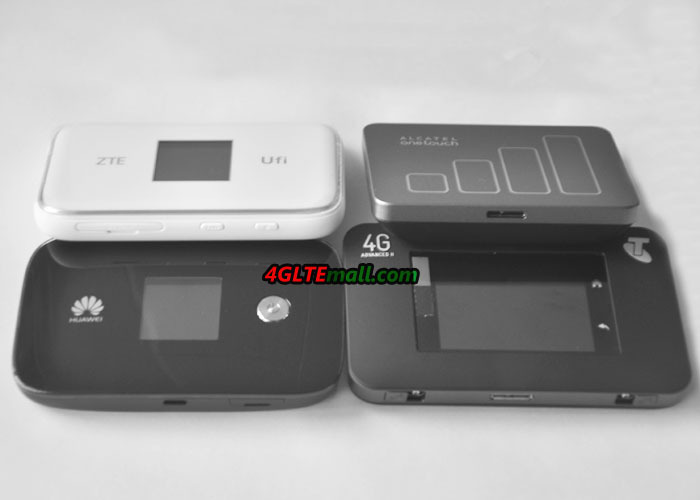 Following the steps of the above two vendors, ZTE released the UFi MF970. It looks common like its predecessor MF910. 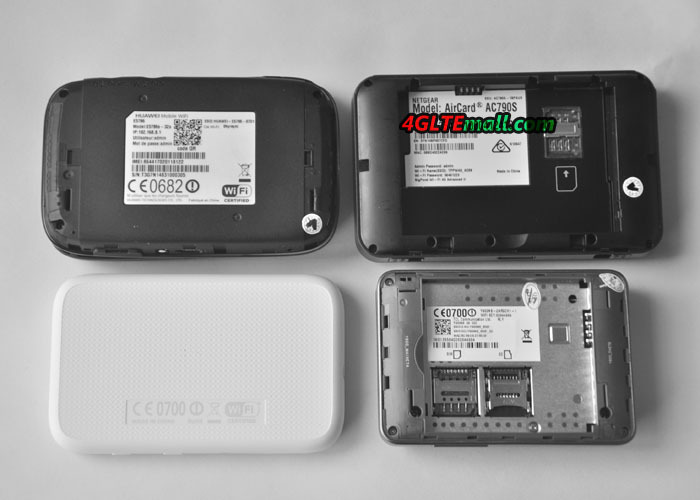 MF970 was already available for Vodafone 4G contract. The front middle is the screen to indicate the connection status. User can do simple settings through the power and menu button. The power and menu button is on the top side. The back cover can’t be removed, so the battery can’t be changed. And there are also two connectors for external LTE/3G antenna. Like Netgear Aircard 790s, there is no slot for Micro SD card. 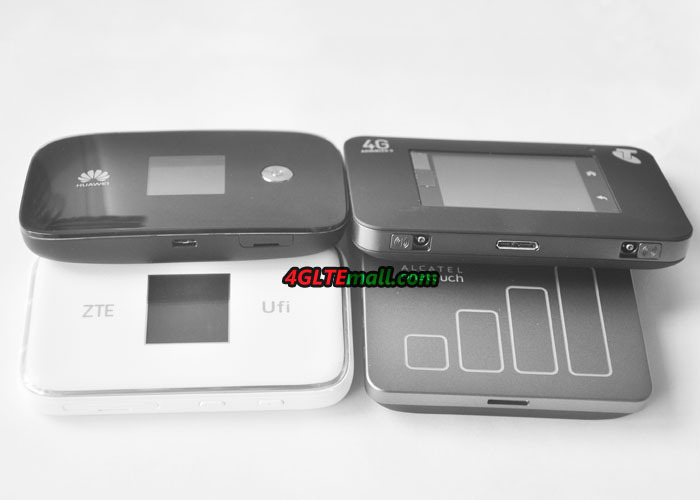 Also with Qualcomm chipset MDM9230, ZTE UFi MF970 could support up to 14 wireless users. The battery is only 2300mAh, which is much lower than the above two similar hotspots. The design of ZTE MF970 looks cool. Other features are very similar to the competitors above. Alcatel One Touch Y900, also called Alcatel Link Y900 4G+, looks special in the appearance. The signal bars on the front side looks cool but are not really interesting. In all the four LTE cat6 mobile routers, the Y900 is the only which doesn’t have a LCD display. There is only a power button on the body with the WPS button on the other side of the button. The back cover could be removed for changing the battery and inserting SIM card and SD storage card. The big battery is interesting, which has 3600mAh capacity and not only working long time, but also charge other electronics to work like a power bank. What’s amazing, the Alcatel Y900 could support up to 32 wireless users to access internet. In the four devices, Alcatel Y900 seems to be the most powerful mobile hotspot. I personally like this one more. 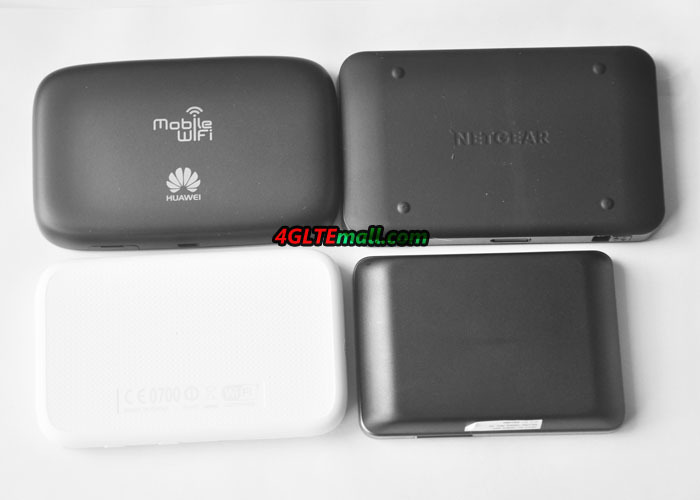 The above four LTE 4G+ cat6 MiFi hotspot should be the most popular for LTE advanced networks. You need prefer to the vendor brands, prices, or the functions. We suppose you would choose the right one for the high-speed surfing on the go!